We have rooms reserved at the hotels featured below. We will all spend the first night of the main conference in the city of Selfoss, about 45 minutes outside of Reykjavik. Our remaining four nights will be spent on the Snaefellsnes Peninsula in the town of Hellnar. In Hellnar, hotel rooms will be distributed on a first-come, first-served basis, and you will be asked to provide first, second and third choices. Our registration director, Andrea Lomanto, will confirm your reservation. Please note that accommodations for the Post-Conference Journeys into the Westfjords, or In and Around Reykjavik, are listed within each itinerary. Most of our group will be staying at the Hotel Hellnar during the main conference, where standard, ocean view, and upgraded rooms are provided (some with limited availability). We also will have a limited number of budget accommodations in shared houses in town, and in the nearby village of Arnarstapi. 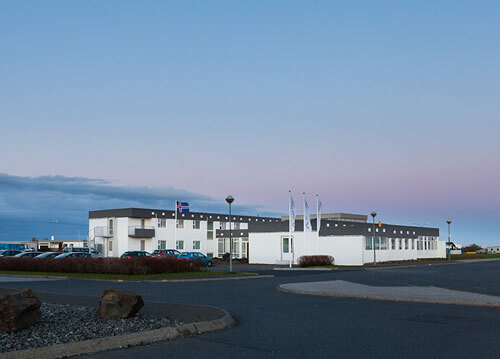 Hótel Grindavík, a 15 minute drive from Iceland’s Keflavik Airport. 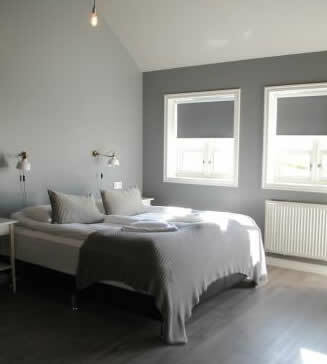 Situated in the lovely fishing village of Grindavík on the Reykjanes Peninsula, this newly built hotel has rooms that are quiet, clean and comfortable. It is also conveniently located within walking distance of a supermarket, bank and restaurants. *Please note: See HERE for more information about arrival on the 22nd of August. All participants will spend the first night of our main conference at the Hotel Selfoss, an elegant, modern, four-star hotel on the banks of the majestic Ölfusá River in the town of Selfoss, less than two hours outside of Reykjavik. With a light-filled reception area, the floor-to-ceiling windows of its Riverside Restaurant, an inviting open fireplace in its hotel lounge/bar, and a spa designed with the dramatic forces of Iceland’s glaciers and volcanoes in mind, Hotel Selfoss is one of the country’s most architecturally celebrated spaces. Most participants will spend the final four nights of our main conference at the Hotel Hellnar, an award-winning, Green Globe certified, lodging committed to environmental sustainability. Located on the Snæfellsnes peninsula in Hellnar, and close to Iceland’s famous Snæfellsjökull glacier and volcano, the hotel’s terrace and sun deck are an ideal place to admire the clear waters and rocky beaches of Faxaflói Bay. Rooms feature either mountain or sea views, the restaurant serves traditional Icelandic dinners and organic wines and beers, and the hotel’s library lounge offers a place for rest and reflection. 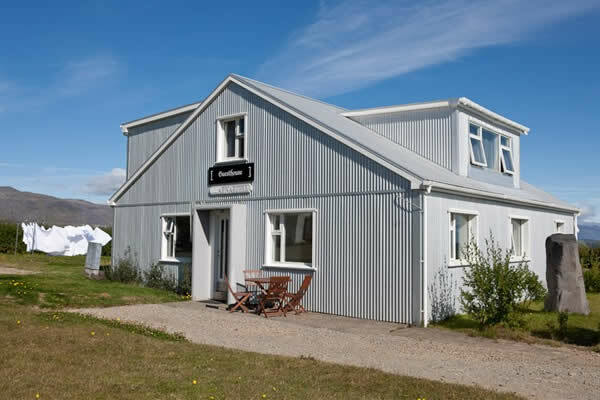 We have a limited number of rooms at the economical Guesthouse Snjofell, a newly renovated, two-story house in a picturesque location near Snæfellsjökull National Park. About a five minute drive, or 35 minute walk, from the Hotel Hellnar, the Guesthouse’s accommodations are more humble: bathrooms are shared, and there is no internet connection. However, the Snjofell is cozy and inviting, with an on-site bar, rooftop terrace, and lovely common area. Breakfasts are taken at the Restaurant Arnarbear, built in the manner of an old turf farmstead, and a six minute walk away in Arnarstapi, considered one of the most idyllic villages in Iceland.